My Japan trip in 1998 - oh Lord, I think I was still 3' tall back then - had an enduring impact on my passion in roller coasters and theme parks. I attributed that to a magical day at Tokyo Disneyland, which left me crying hysterically because the tour leader insisted we had to go back to the hotel at 17:00 (for reference, that was five hours before the closing time). It traumatised me to this day: I vowed to never join any other tours unless necessary because it would leave me disappointed. But there was another theme park that we visited in that trip that left such a huge impression on me: Fuji-Q Highland. As soon as our tour bus entered the parking lot, the tour operator screamed at his microphone, "Look out of your windows! This just opened two years ago! Believe it or not, this is the the King of Coaster, Asia's and one of the world's biggest roller coasters!" I was in awe at the sight of sprawling steel structures in front of me and trains full of screaming guests passing by one by one as I made my way to the entrance of the park. Steel Dragon 2000 vs Fujiyama: which one would take all the prize? Well, it's been 20 years, and all I can say is that I'm grateful to have conquered not just one, but two of Japan's biggest, baddest steel beasts. Ladies and gentlemen, I present to you the greatest battle between Japan's two biggest roller coasters: Steel Dragon 2000 at Nagashima Spa Land and Fujiyama at Fuji-Q Highland. Nowadays, when you hear of recent theme park developments - be it a record-breaking roller coaster, a new theme park or a revolutionary ride system - chances are those happen in a place no other than China. Its booming economy and in large curious consumer base is without doubt a gold mine for the themed entertainment industry. Just look at Shanghai Disney Resort. Who would've thought that they would become the fastest theme park ever to break even? That's insanity right there. But before China became Asia's premier theme park destination, it was Japan who took the throne. Both Disney and Universal recognised Japan's excitement towards theme parks and made their marks with the former opening its gate with Tokyo Disneyland in 1983 and the latter with Universal Studios Japan in Osaka in 2001, followed by Disney opening its second park, Tokyo Disneysea - easily the best theme park in the world even to this day -, in the same year. Fujiyama's layout beautifully stretched out by the parking lot against the majestic backdrop of Mount Fuji. 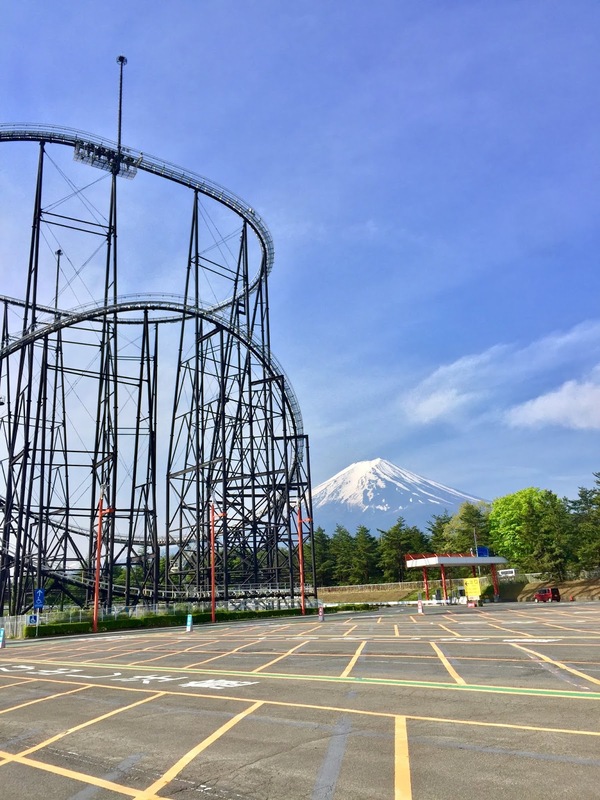 Japan's theme park landscape didn't really achieve world attention until 1996, when an amusement park located at the foot of Mount Fuji opened one of the world's longest roller coasters, Fujiyama (only if you don't take into account the opening of Tokyo Disneyland in 1983). 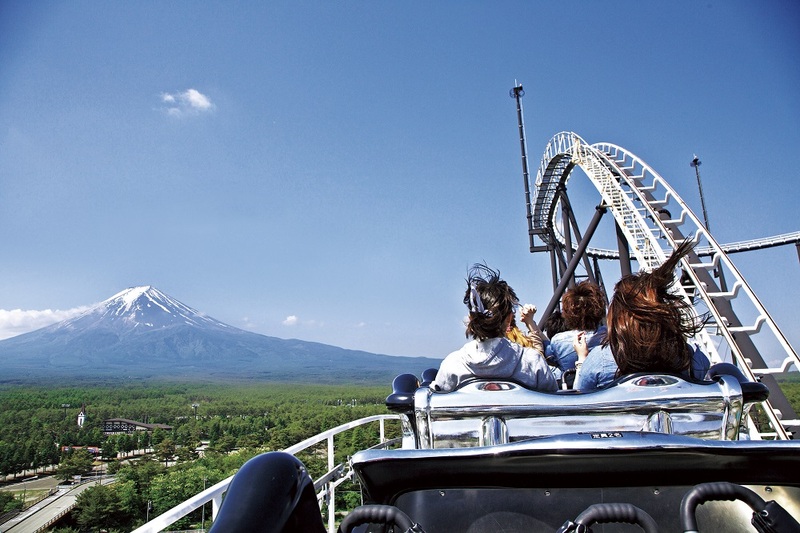 Standing just under 260 feet tall and extending a track length of more than 6,700 feet against the majestic backdrop of Mount Fuji, Fujiyama was a showcase of Japan's pride in the theme park industry. It was without doubt the largest roller coaster in Asia, easily knocking every single record that was in place in the region. 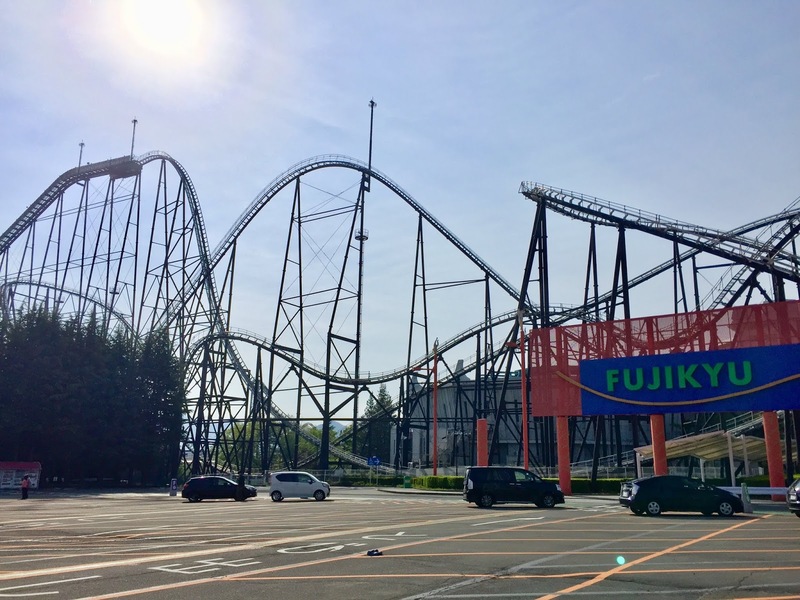 Who would've thought that, four years later, another amusement park just under 300 km southwest of Fuji-Q Highland, would open a coaster so big that it didn't only take the Asia's biggest roller coaster title from Fujiyama, but was also crowned as the world's biggest roller coaster? Soaring close to 32 stories into the sky and - to this day remains the only roller coaster - extending past the 8,000-foot mark in track length, Steel Dragon 2000 was a giant steel machine that made all enthusiasts turned their head. 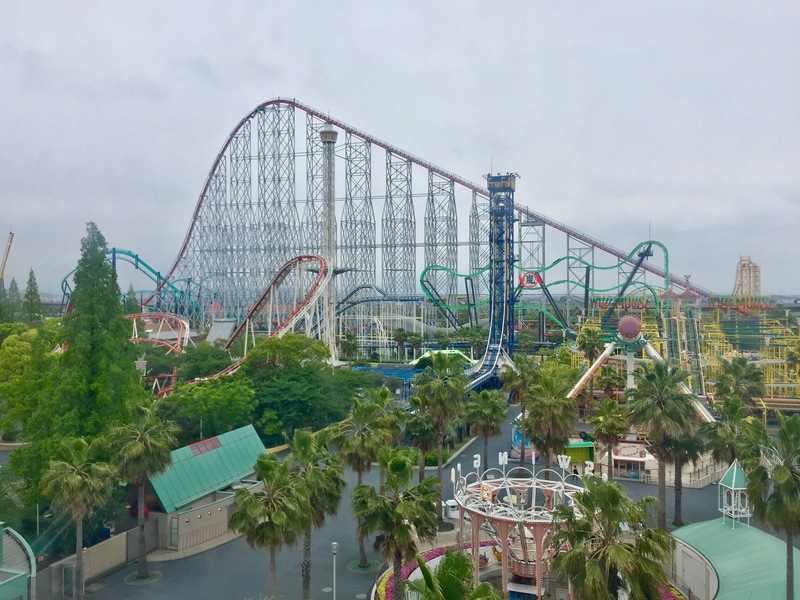 The sight of the roller coaster stretching throughout the park is an unforgettable sight as visitors enter Nagashima Spa Land. Steel Dragon 2000 massive layout stretched throughout the park from one side to another. It has been 18 years since both Steel Dragon 2000 and Fujiyama coexist beside each other. 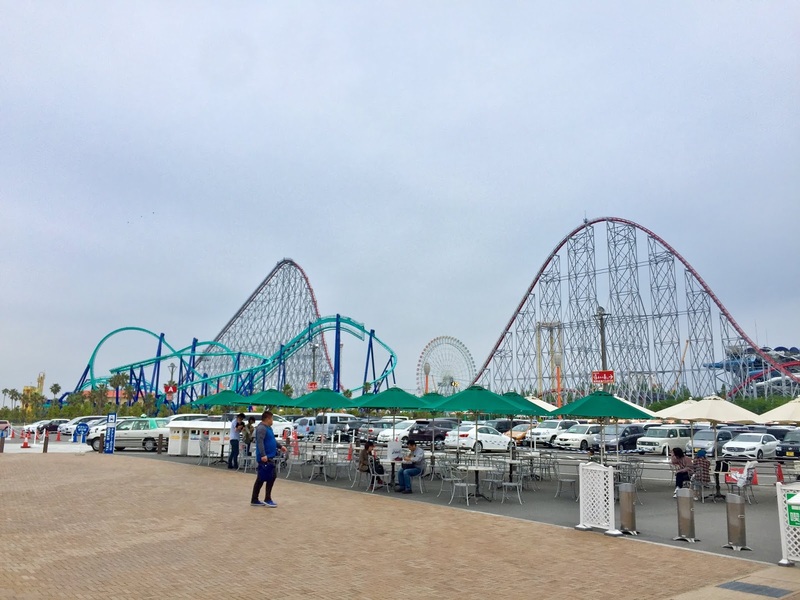 It's amazing that despite the recent advancement in roller coaster development, the two remain Asia's biggest roller coasters thanks to its sheer footprint. To this day, they're still Japan's pride in thrill, scream-inducing machines that have entertained millions of guests since they launched their trains into miles and miles of adrenaline. WHICH ONE IS BETTER AND WHY? One of the prominent figures in the theme park industry that I follow is CoasterStudios. Amongst his videos, one series that I find most drawing is his COASTER FIGHTS! 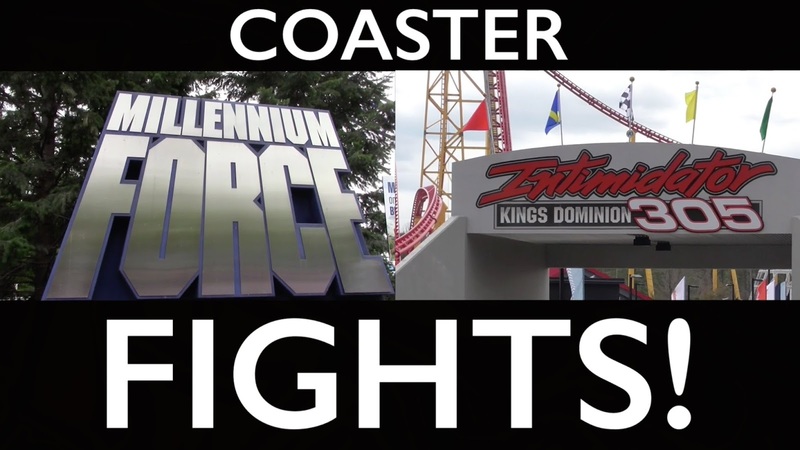 series, in which the creator compares two roller coasters side by side against certain variables, provides score for each one then concludes the battle by declaring the winner based on the number of points each coaster attains. It's subjective, yes, so clearly it doesn't work for everyone. But I love how systematic and fair the system is, and I don't mind the subjectivity of this matter at all. Using CoasterStudios' COASTER FIGHTS! model as a base of my valuation. Watch the video here. Without further due, ladies and gentlemen, here are my valuations! Steel Dragon 2000, being 6 stories higher than Fujiyama, wins this category. You might say, "Oh since both are so high up there, the difference are not gonna be so apparent, no?" On Steel Dragon 2000, as you climb up that 320-foot first hill, you're going to feel how tall it is. It's so high up that the lift hill requires two different chains. Steel Dragon 2000 reaches a top height of ~320 feet, roughly 32 stories high. That's not to say, however, that Fujiyama is nothing. It's still high up there. The wind up there is even stronger than on top of Steel Dragon 2000 - talk about mother nature. But given the sheer size of Steel Dragon 2000, needless to say Fujiyama is dwarfed in this situation. You might speculate that since Steel Dragon 2000 is higher, the drop would be better. However, I feel Fujiyama's drops - especially the first drop - carry bigger impacts. 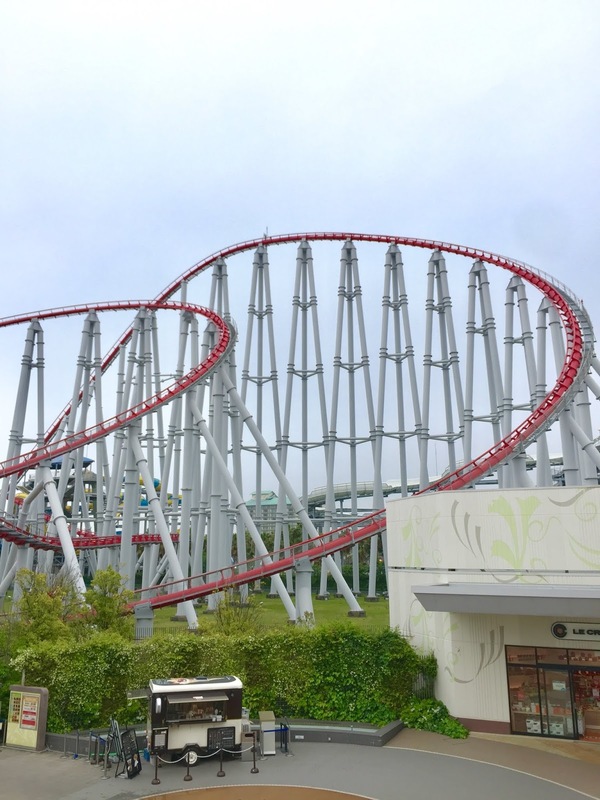 Unlike the first drop of Steel Dragon 2000 - which goes down right away - Fujiyama's has a flat section at the top that allows the trains to pick up speed before going down. This creates airtime - particularly for those at the back - as riders plunge from a height of more than 260 feet. The flat section at the top of Fujiyama allows the coaster to intensify the first drop. Regardless, I don't find the first drops of both coasters to be intense. Both Steel Dragon 2000 and Fujiyama have angles of descent (first drop) at around 60 degrees, which are relatively gentle. As a rule of thumb, I would highly rate any first drops that measure above 70 degrees - even better if above 80 degrees. But again, these coasters were built in the '90s. Can't really complain. As for the later drops, those on Fujiyama are still better. The tight twists, bunny hops and sharp turns combine multiple elements into creating what a true series of drops should be. Steel Dragon 2000, on the other hand, consists of drops that fall flat. The multiple airtime hills towards the end are somewhat exciting, but are nowhere as forceful as those of Fujiyama. 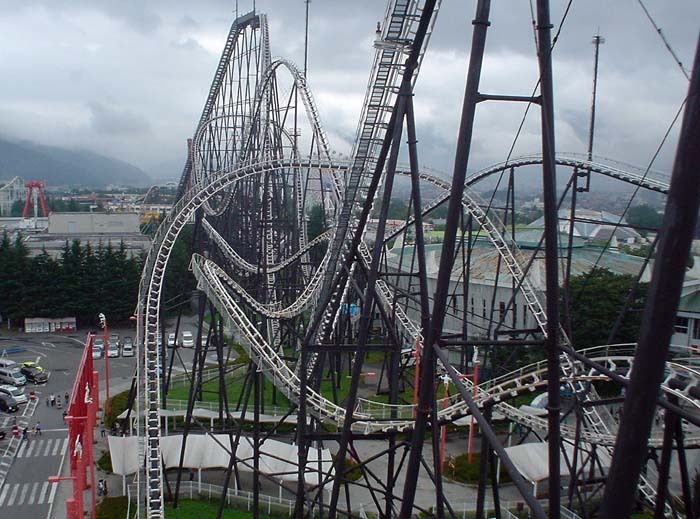 Steel Dragon 2000 has a top speed of 95 mph or 153 kph, whereas Fujiyama's is 80.8 mph or 130 kph. In terms of pure speed - you guessed it - Steel Dragon 2000 wins hands down. Steel Dragon 2000 entering its massive 8-figure curves. The massive 8-figure curves on Steel Dragon 2000 enable riders to feel the sheer impact of the sustained speed. But what makes Steel Dragon 2000's victory in this category more worthy is how good the roller coaster sustains that speed before the mid-section brakes. On those massive 8-figure curves with lengthy flat sections as the track transitions from one element to another, the train travels at around 60 mph for a lengthy period (I can say up to 30 seconds). This is usually the top speed of many coasters out there and Steel Dragon manages to maintain this speed for such a long time! Can you imagine that? 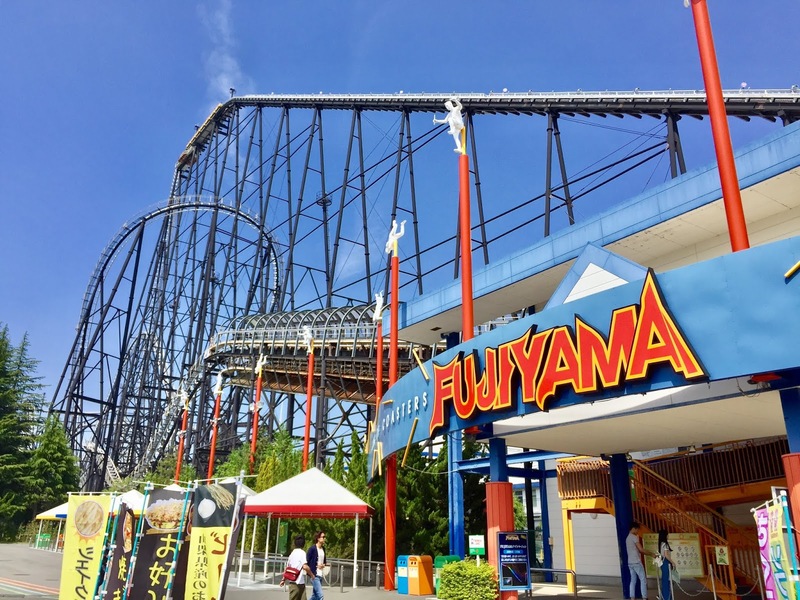 Fujiyama is manufactured by Togo, which - if you don't know already - is widely renowned for their rough and painful roller coasters. Fujiyama isn't that bad, but the trademark Togo roughness is definitely there. In some sections, the roller coaster can become unbearable for some. Those tight turns at the end of the roller coasters are especially rough! The restraints definitely do not help with dealing with the roughness. Fujiyama's entangled track consists of some unbearable moments. Steel Dragon 2000 is without doubt the smoother of the two. But this can probably be attributed to the relatively less aggressive and intense layout, which consists of a lot of extra-wide curves, flat sections and bunny hops. Regardless, this makes a more enjoyable ride compared to Fujiyama. If there's one thing that both of these Japanese coasters lack of - and actually almost all roller coasters in Japan - it has to be airtime. "How you doin' today?" "Not much, just enjoying the sight of Mount Fuji while having some airtime on Fujiyama." 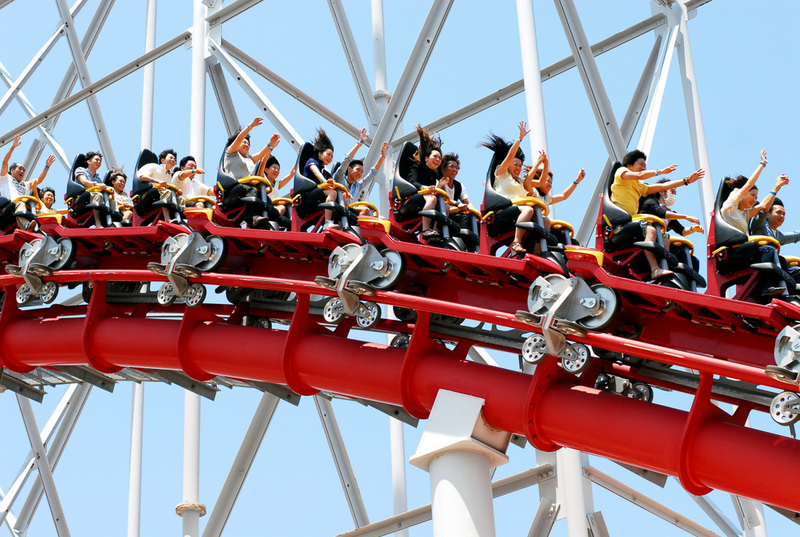 Prior to Steel Dragon 2000 and Fujiyama, Japanese roller coasters have their own terminology: jet coasters. These roller coasters are characterized by their rather excessive amount of flat sections and long ride, making them rather boring, forceless and simply forgettable. 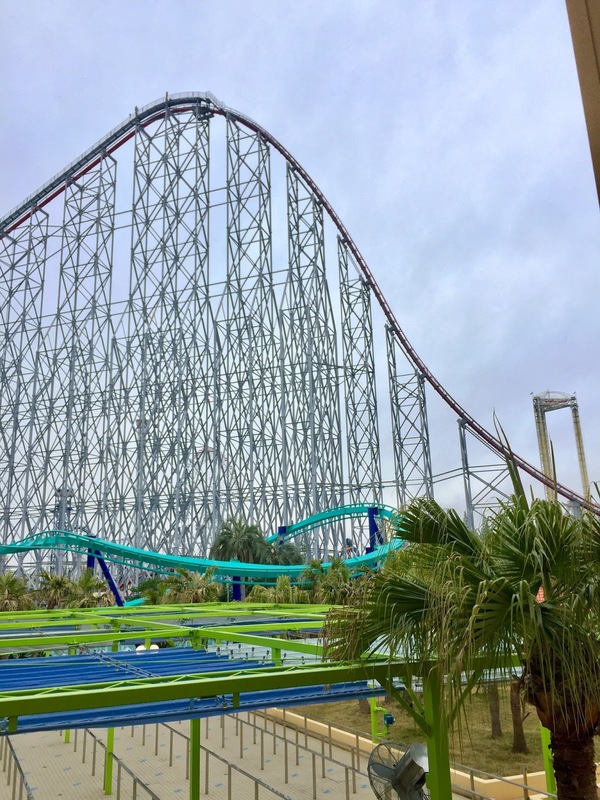 While it seems that Steel Dragon 2000 and Fujiyama attempted to erase that image of jet coasters, I cannot deny that large parts of both coaster remain jet-coaster-like: flat, forceless and - simply to say - unnecessarily boring. Riders experiencing airtime on Steel Dragon 2000's bunny hops as they make their way back to the station. Fujiyama has its moments just right before the first drop and the final brakes, while Steel Dragon has its own through the bunny hops between the mid-course brakes and the final brakes. Regardless, neither has airtime as its highlight, which is such shame for roller coasters of these sizes. I must admit this is tricky. Even just by looking at it from far away, most people - including me - would speculate that Steel Dragon 2000 is more intense than Fujiyama. Bigger is meaner. Meaner is scarier. They're not wrong to assume that. That long way up to the top of the first hill on Steel Dragon 2000 is an intense experience by itself. Imagine sitting there for two whole minutes as you start to think why on earth are you doing this to yourself. While huge, Steel Dragon 2000 isn't necessarily intense. Pass the first hill and Fujiyama wins hands down in terms of intensity. Its tight layout forces Fujiyama to take some seriously tight twists and turns throughout the course. This creates a forceful ride that becomes more and more intense as the ride progresses. In contract, Steel Dragon 2000 stretches all the way from one side of the park to another, hence no necessity to be as densely packed. While I did not specifically time my ride, I can say Steel Dragon 2000 wins this one. Fujiyama is shorter, but it's still a long ride regardless. It's a long way up! Let's be honest here: both roller coasters are no extensively themed. But if I must choose between the two, I'd choose Fujiyama over Steel Dragon 2000. 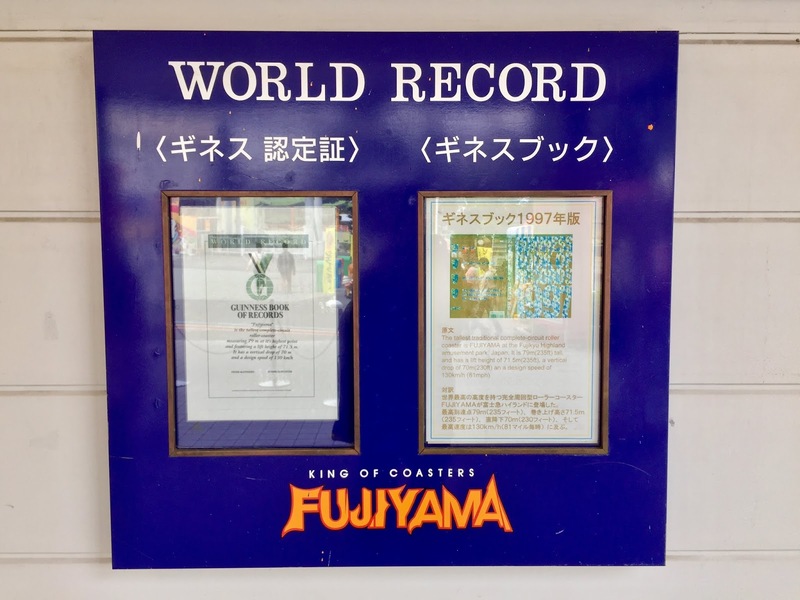 Perhaps it's because Fujiyama showcases all of the fun facts about the roller coasters in the queue, such as the world records it broke when it opened, the elements to be expected throughout the ride, the bombastic entrance sign, and many more. Steel Dragon 2000's entrance pales in comparison to that of Fujiyama. Steel Dragon 2000's on the other hand is merely a plain-looking station with generic queue with nothing to offer. Part of why Fujiyama gives a much more intense ride is because of its restraints: odd-looking, out-of-this-world and - you guessed it! - painful. It's not painful like THIGH CRUSH, but rather because of how the restraints hug your body. I hit my hip bones so many times against the restraints, making it an uncomfortable ride mid-point onward. If I can say, Fujiyama's restrains make you focus more on when the ride would be over instead of the ride itself. 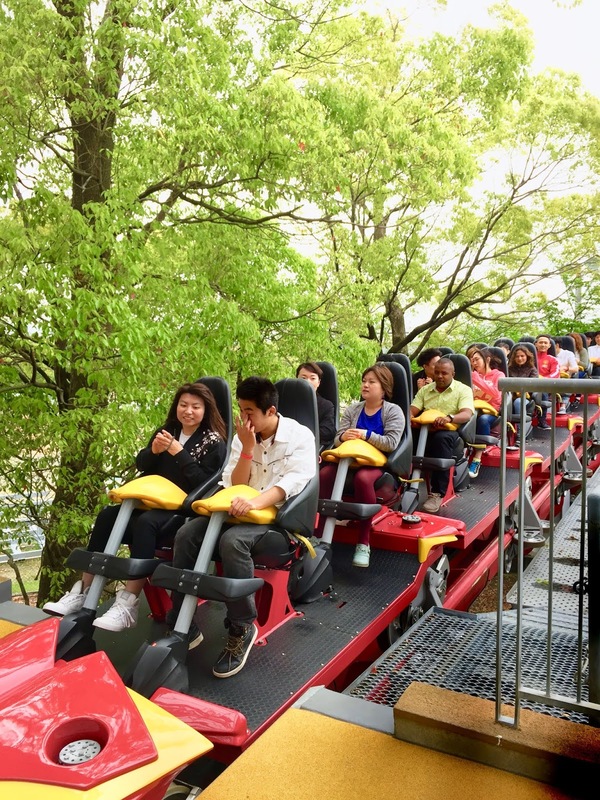 Fujiyama's restraints don't necessarily help the riders in dealing with the roughness of the roller coaster. Steel Dragon 2000's trains use B&M's ultra-comfortable restraints, the same ones they use on Fury 325. 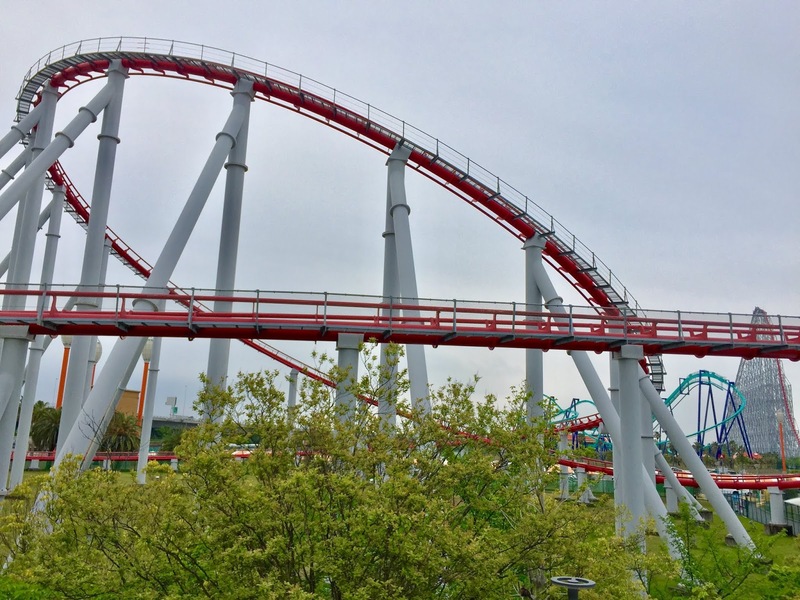 Thanks to the newly manufactured train by Bolliger & Mabillard, Steel Dragon 2000 doesn't only have far superior restraints that are comfortable, but also more open, making you feel more vulnerable to the entire coaster experience. In fact, these restraints are some of my favorites and I've tried them on other coasters like Nitro and Fury 325. 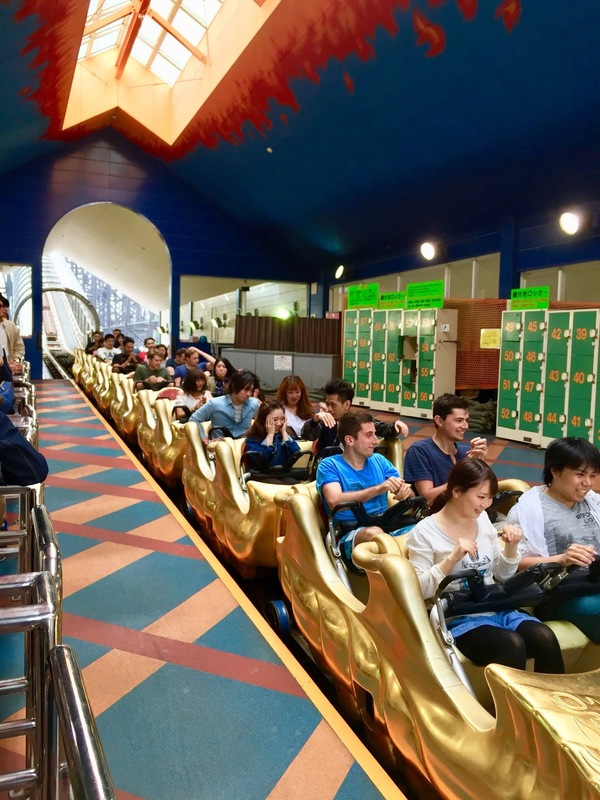 Steel Dragon 2000 has the traditional out-and-back layout with long straight stretches whereas Fujiyama has plenty of tight turns in its densely packed layout. Personally, I prefer Fujiyama's as it's more intense and forceful. Some headchoppers here and there also add to the excitement. Fujiyama's tight layout by the parking lot. There's something so enchanting about Fujiyama and that's because of its location at the foot of Japan's most symbolic and famous mountain, the Mount Fuji. The view from the top of the first hill, and that 180-degree turn at the top of the second hill is just spectacular and indescribable. The roller coaster provides the best, uninterrupted view of the mountain indeed. Mount Fuji and Fujiyama, the "King of Coasters". That's not to say that the location of Steel Dragon 2000 is bad. 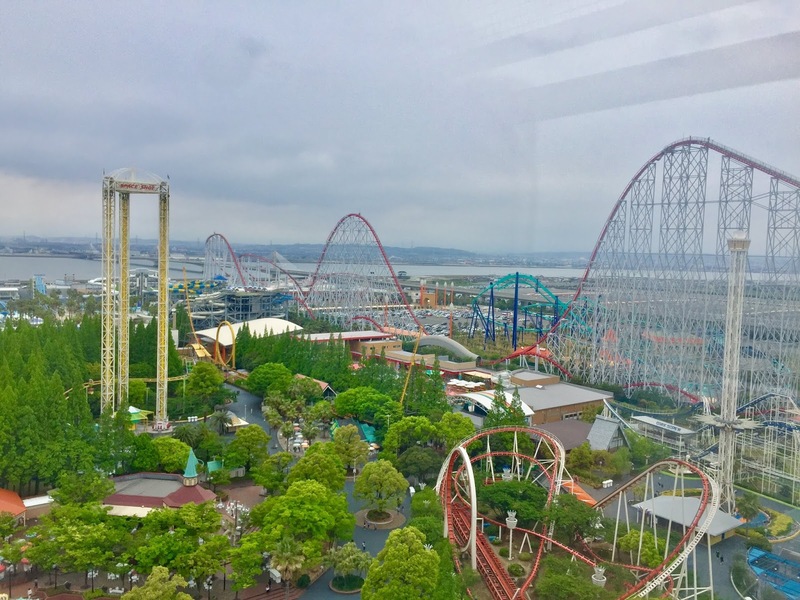 The view of the Nagashima Bay from the top of the hills are magnificent too. It's just IMO not as special as that of Fujiyama. So who wins? Winning by only two points, the winner is... Steel Dragon 2000! Subjectively, I'm more drawn to Steel Dragon 2000, hence my surprise to see that the scores actually aren't that far from each other. 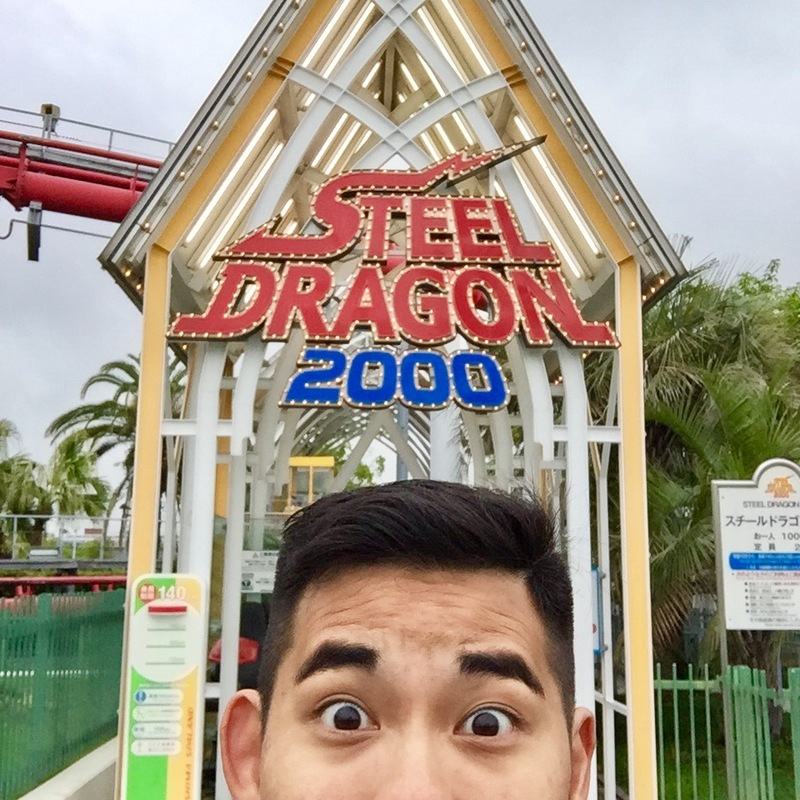 At the end of the day, though, I feel that while Steel Dragon 2000 overall provides better roller coaster experience, Fujiyama provides superior unique feel to it thanks to its wonderful location and - well - truly Japanese coaster experience (thanks Togo!). 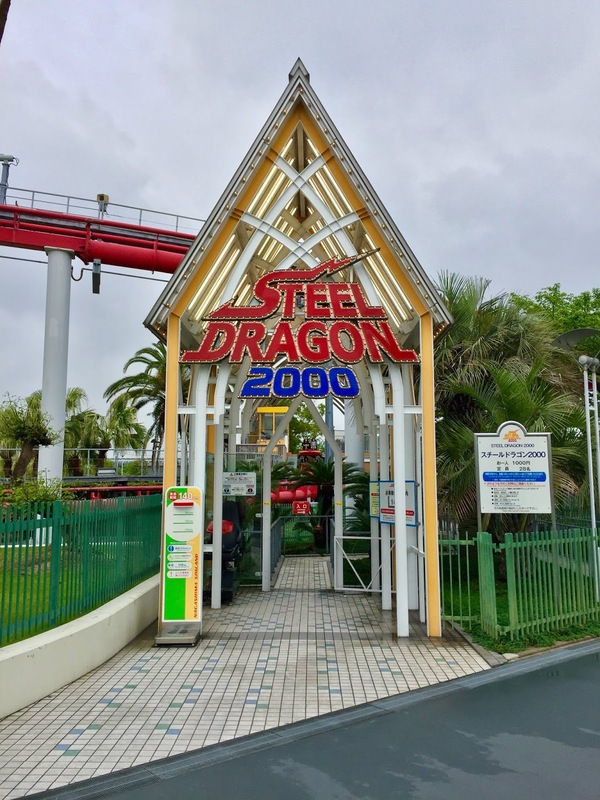 Despite the advancement in roller coaster technology, despite more "bigger coasters" being built around Asia and the rest of the world and despite the Asian theme park industry being overshadowed by China at the moment, Steel Dragon 2000 and Fujiyama remain the shining hopes of the industry that hail from Japan. They've withstood plenty of forces and changes and maintained their pride to reflect the true tale of how theme parks have become so big not only in Japan, but also the entire Asia. Throwback to the time when Fujiyama broke all roller coaster records. They're the ones who made the world turn their heads and ask, "What's up in Japan?" They're the ones who get their curiosity in the first place. I think that alone is an enough reason for us to pay our respects to these two roller coasters.